If you’ve been around us for a while, you probably know we enjoy natural, organic beauty products that are sustainable and eco-friendly. 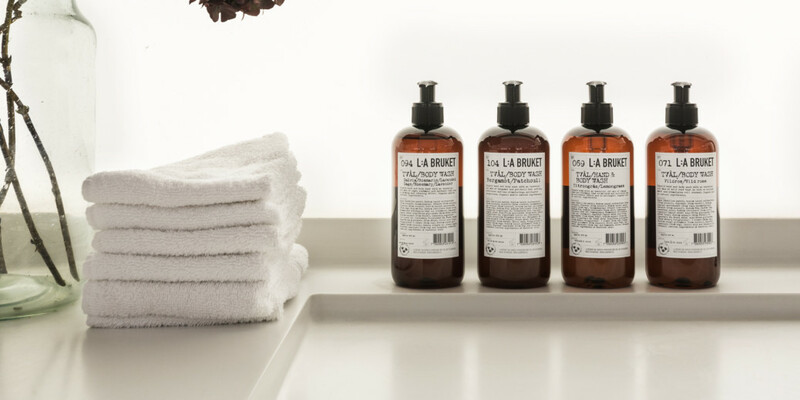 So when we came across L:a Bruket when we were working on our holiday gift guides last year, we couldn’t be more excited to learn more about the company and its products. L:a Bruket was founded in 2009 by a husband-and-wife duo, Monica Kylén and Mats Johansson, in the coastal town of Varberg, Sweden. Kylén was inspired to launch the company when she needed to find natural, organic products to restore her hands after a day working with ceramics. It’s very evident when combing through L:a Bruket’s website and product line that it takes immense pride in its offerings – and what goes in them. Made with natural ingredients, devoid of harsh chemicals, L:a Bruket products are designed to be gentle, yet effective – even in the toughest conditions. 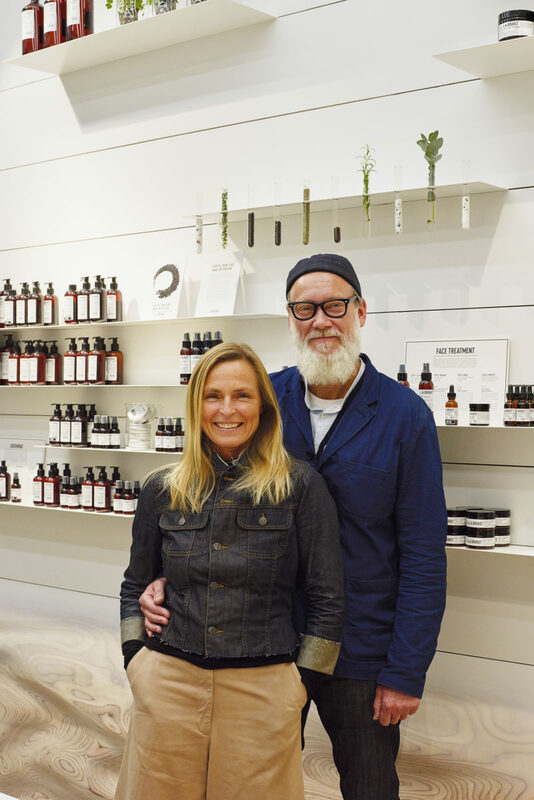 From its humble beginnings in its founders’ basement to currently being in 30 markets around the world, L:a Bruket has made its mark in the skincare industry. We caught up with Kylén to learn a little more about the company and her thoughts on products, fragrances and more. Why did you choose the name L:a Bruket? The name L:a Bruket would best be translated with “the small workshop” or “the small factory.” Originally my ceramics range was named “Lilla Lerbruket” (the small clay workshop), and when the soap bars and skincare products were introduced, I dropped the clay part and the name became “Lilla Bruket,” which then L:a Bruket is short for. 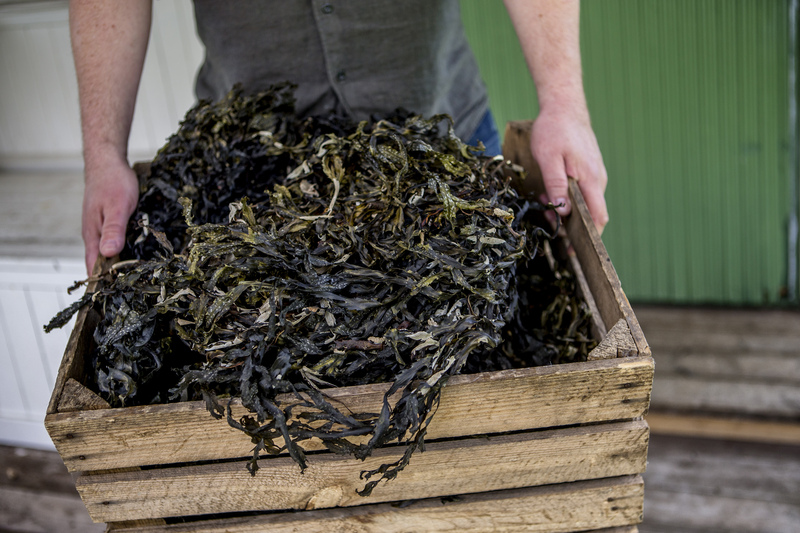 We loved reading about how you harvest seaweed daily for your products. Why is this process so important to your products and your overall brand? I think it is important for L:a Bruket in many dimensions. The first dimension is, of course, that seaweed is one of the richest ingredients you could choose when it comes to skincare. It is truly a superfood for your skin, and we have found a way to easily have it compatible with other ingredients and routines and tend to incorporate it in more and more of our formulas. Secondly, we are able to harvest it in a sustainable way, and it grows fast so we can come back to the same harvesting places a few months later. The third dimension is that through harvesting ourselves, we can dry the seaweed without grinding it and get the perfect seaweed detox bath without losing the physical experience of massaging with the genuine thing. 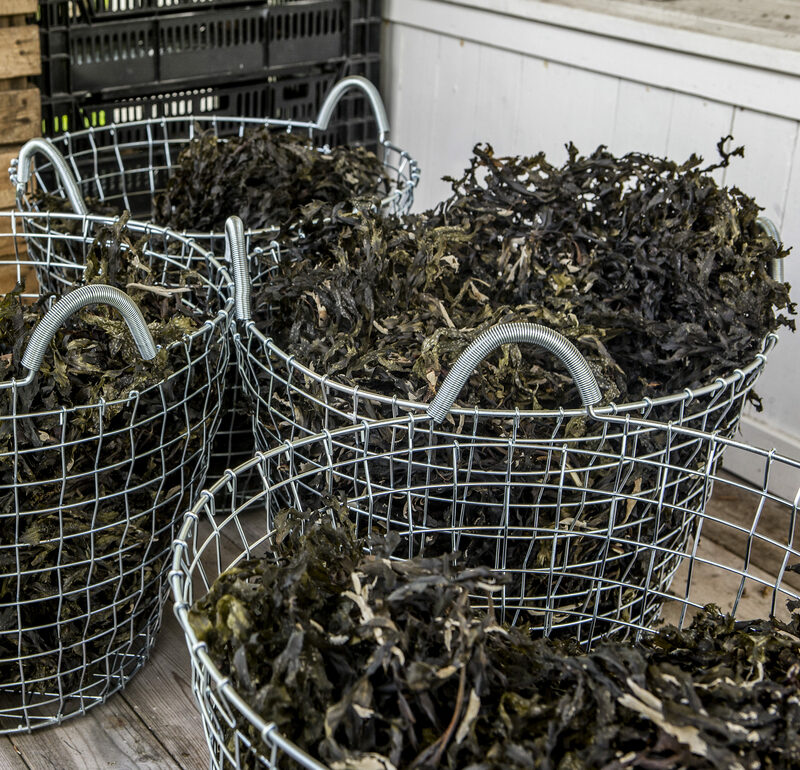 The drawback of this might be that it is difficult to harvest when the ice has settled, so sometimes during winter, we get sold out of the seaweed detox bath and have to wait for it until the end of march. The next perspective is that it is a symbol of the brand’s approach to natural ingredients and to the way we try to take the 200-year-old spa traditions of our area and shape them to fit a contemporary context where so many of us need to reconnect with nature in a more physical way. Finally, it gives us pleasure to go out and connect with the water and the coast in a meaningful way, knowing that our work will bring pleasure and health to family, friends and strangers in foreign places. What are some of your favorite fragrances (to use personally and/or in the L:a Bruket product line) and why? Our goal is to connect users to nature; instead of fragrances, we use essential oils and properties of the active ingredients in our products. This differs from a lot of synthetically scented product lines and is a key part of our brand aesthetic. When using our products, you will experience an unusually intense and pleasant natural aroma-treatment that will quickly subside and leave a pleasant touch of nature behind. So, you need to appreciate this to start with and when you know, you will understand and hopefully appreciate our “scents” in a very different way. My personal favorites vary a lot depending on season and mood, but right now I still cannot get enough of Fennel seed, which I experience every morning and night. I get energized by Grapefruit leaf, I have always loved Sage/Rosemary/Lavender, not to mention Geranium… All combinations I have created have, of course, functional reasons, but it is, of course, an absolute joy to experiment how to combine them into the unforgettable scent experiences of nature I would like myself when I use them. What are some of your go-to L:a Bruket products? Petitgrain Face Scrub – It is extremely exfoliating and allows you to have an instant spa experience at home. Made with sea salt, petitgrain and almond oil, this scrub is the perfect weekly treatment for your face. 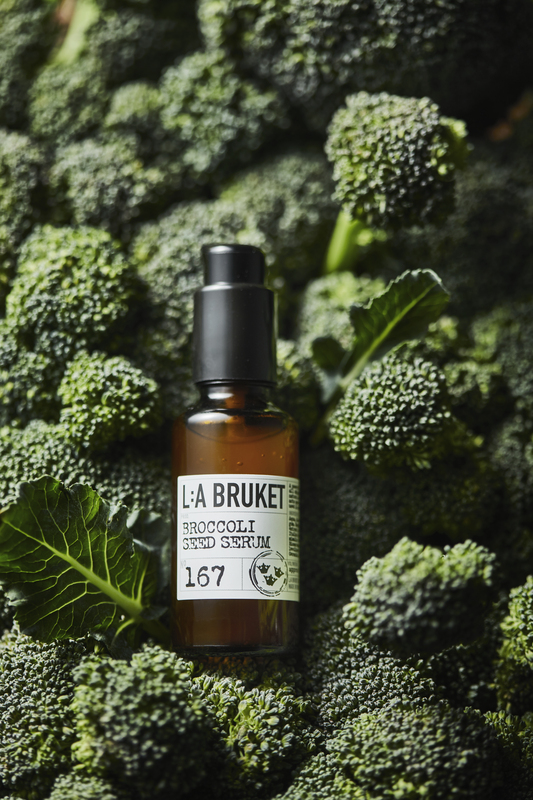 Broccoli Seed Serum – It is truly superfood for the skin, and the antioxidants protect it from free radicals and any stress-related issues. It is also fast-penetrating and adds nourishment and moisture in one strike. Also, you don’t need much: One or two pumps are perfect for the whole face and are compatible with any beauty routine you might be into at the moment. Fennel Seed Facial Wash – For the fabulous scent, it is aromatherapy for you and nourishing therapy for your face. In addition, the liquid gel texture from the seaweed makes it safe for you to also use around the eyes. It’s fresh, and the seaweed gives the extra detoxifying effect, turning it into a quick fix when you want a simple but effective face routine. 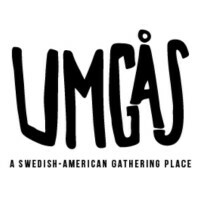 From a company perspective, apart from trying to share our holistic view and the Swedish way we use when approaching natural skincare to the American audience, we are busy handling the increased amount of acceptance and demand for our products. 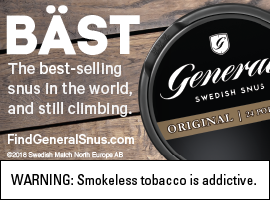 Scandinavia knows us as a leading brand, but in Europe and Asia, the awakening is happening now, and it keeps us on our toes. The concept of considering our range to be a training program for your skin to perform better, longer, is changing the perspective on how to approach that area and takes some time to sink in. To create a platform for explaining our perspective, we will continue to open L:a Bruket stores parallel to developing our web presence and other representation. Today we have physical stores in Varberg, Stockholm and Tokyo. We have been inspired in our product development, and as a result of that, we are launching new face products during the late winter/early spring and will keep on launching really useful and needed product concepts through spring and summer. I feel we have so many ideas, and I can’t wait to share them. To learn more about L:a Bruket, or to purchase its products here in the U.S., visit its online store.